Just kidding... it is, of course, actually the 3rd of February. 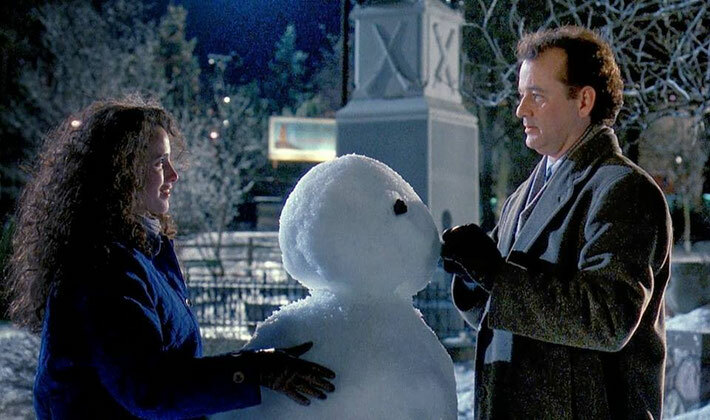 I watched Groundhog Day last night for what must be the millionth time. I just love this film so much. Of course, I am not alone. So many people love this movie - and for so many reasons. Bill Murray is not the only Phil in Groundhog Day, of course. There is also Punxsutawney Phil - or Punxsutawney Phil, Seer of Seers, Sage of Sages, Prognosticator of Prognosticators and Weather Prophet Extraordinary to be precise. My favourite scene featuring the two Phils is the one where human Phil hog-naps groundhog Phil and they speed away in a truck together. Of course this doesn't exactly end well for either of them, but that's okay - they both get to live another day. Groundhog Day's director, Harold Ramis, explained that comedian Tobolowsky was the perfect choice for this role and described his performance as the "spice in the stew". A huge part of the fun of Groundhog Day is watching how Phil Connors spends his days. He goes through many phases from disbelief to anarchy, from petty crime to nihilism. In a desperate attempt to avoid Sonny and Cher, Phil tries suicide. He actually makes a series of attempts in a number of increasingly dramatic ways. Did you know that some of these were methods inspired by Rasputin would-be killers (stabbed, shot, poisoned and frozen)? Groundhog Day is a hilarious and entertaining film to watch. However, for many, this movie means a whole lot more. For example, many believe that Groundhog Day has a deeper religious subtext - Christian, Jewish, Buddhist take your pick. In addition, the film has been linked to the concepts and theories of psychoanalysis. Perhaps, like many good film, you take away from Groundhog Day what you bring. Just how much time does Phil Connors spend in Punxsutawney on 2nd February? Well, if you count what you actually seen in the movie, it comes to 38 days. However, the reality is much, much more than that. The film's original script had Phil Connors repeating the same day for 10,000 years. 10,000 years! But after much debate and conjecture, Harold Ramis said that he believed the figure would be closer to 30-40 years. One of the reasons why I love to watch Groundhog Day, apart from the fact that it is wickedly funny, is for its feel good factor. It reminds me of a Christmas movie in that way - only this is something you can watch all year round - no judgement! Then follows a wonderful scene when he takes Rita (Andie Macdowell) through the restaurant and tells her all about the innermost desires of its patrons. Such a classic Bill Murray moment. Phil Connors grows to hate his alarm clock and in a classic scene lets his true feelings out. Brilliant - isn't this something we have all felt at some point? Groundhog Day has inspired much love and debate in the years since its cinematic release in 1993. The time loop concept has, of course, been much used since then - for example in Edge Of Tomorrow, Source Code and Triangle. The movie is also the basis for a self help book - Paul Hannam's The Wisdom Of Groundhog Day: How To Improve Your Life One Day At A Time. Hannam developed his self help programme by utilising what he sees is the hidden, underlying road map found within the film. 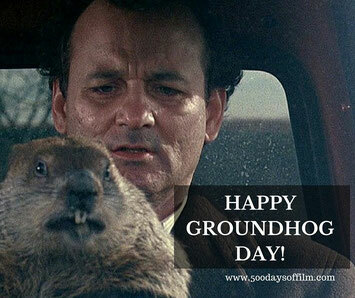 Groundhog Day as a parable for change and appreciating what really matters in life? Genius. 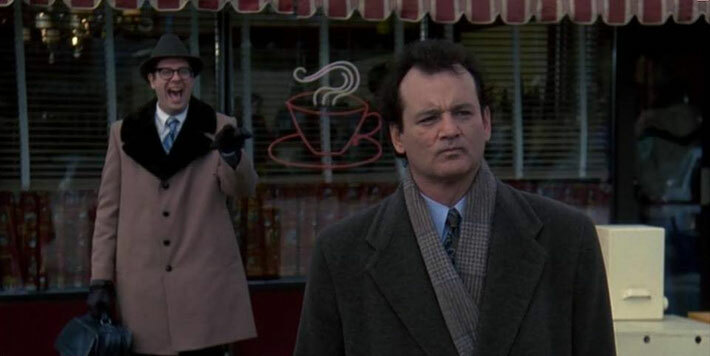 I am sure that there are many more reasons why we all love Groundhog Day so much. Can you think of any more? If you can, let me know in the comments section below!